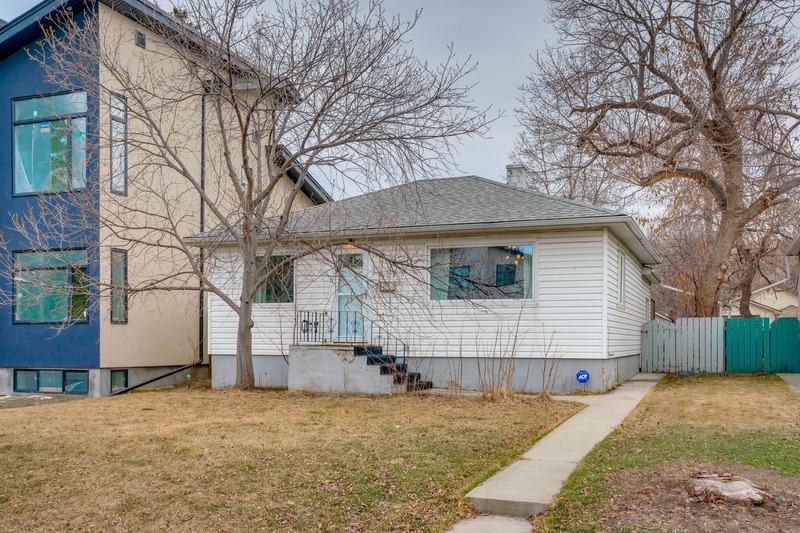 Live in sought after Mount Pleasant! 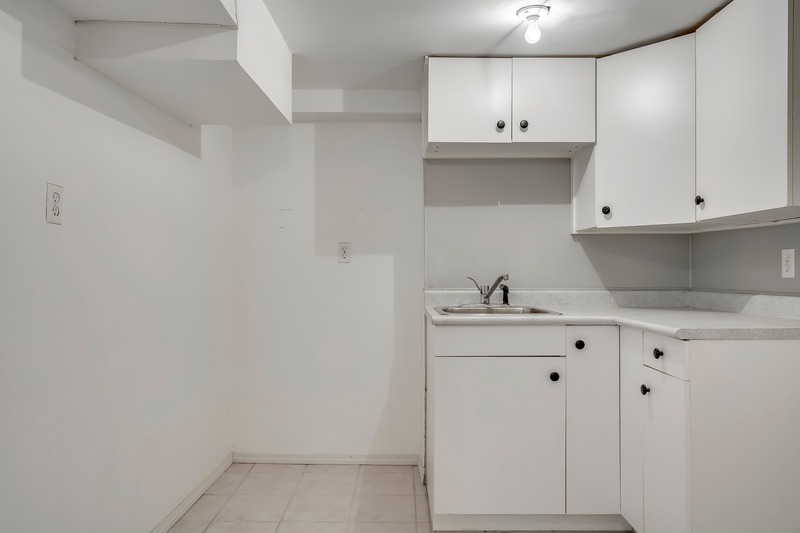 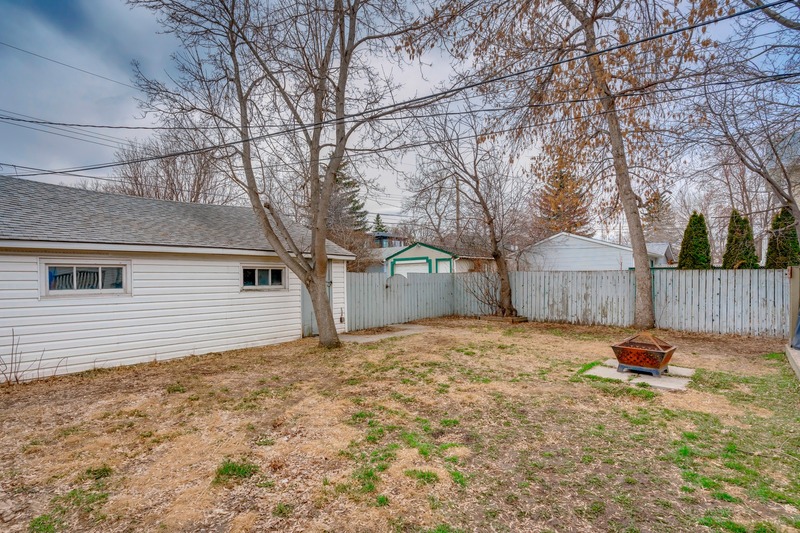 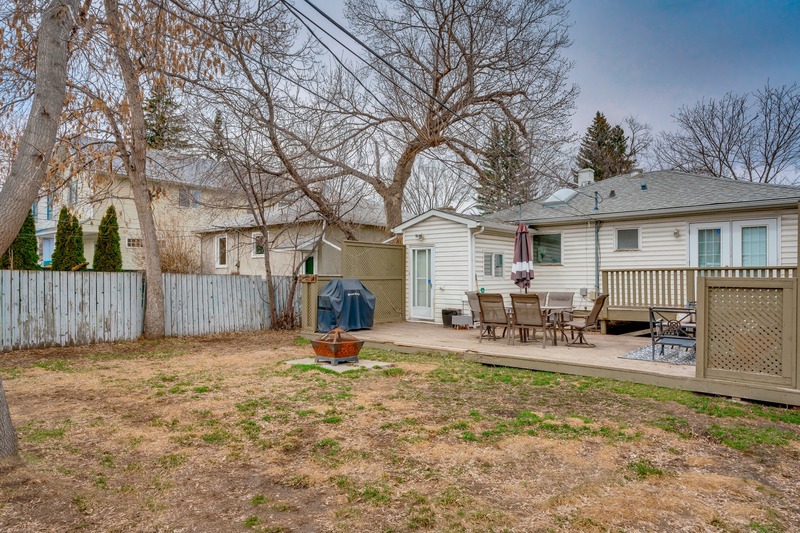 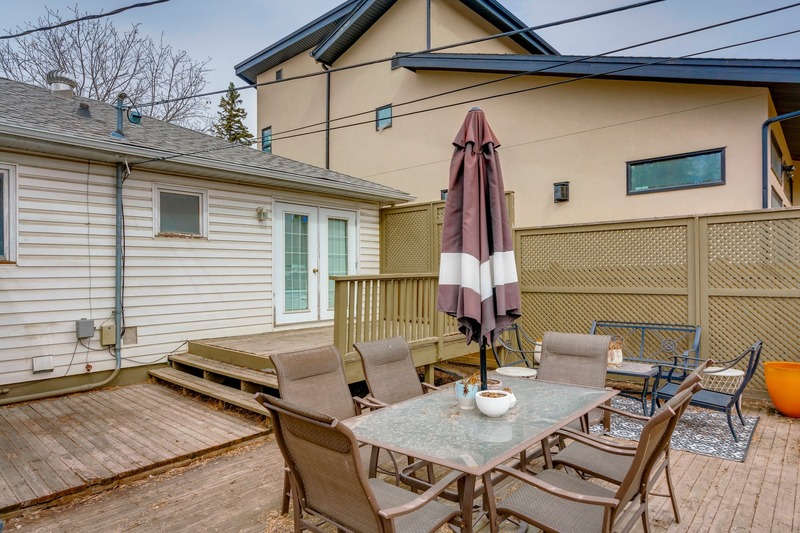 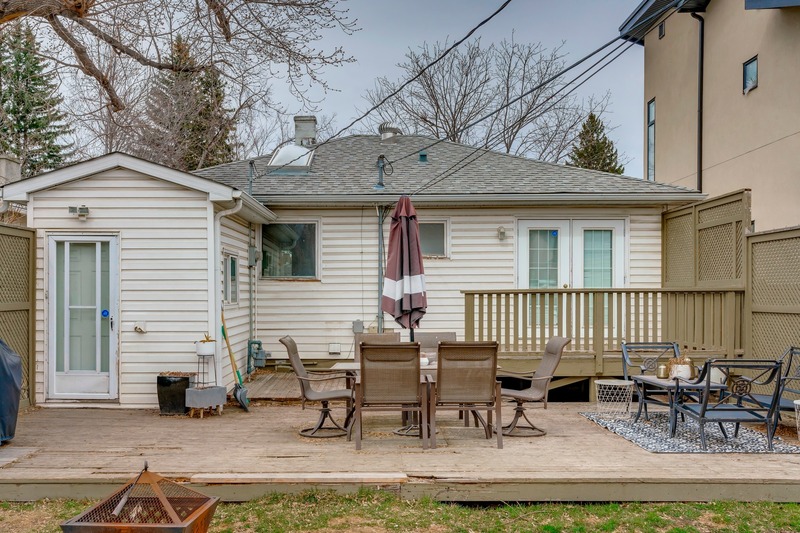 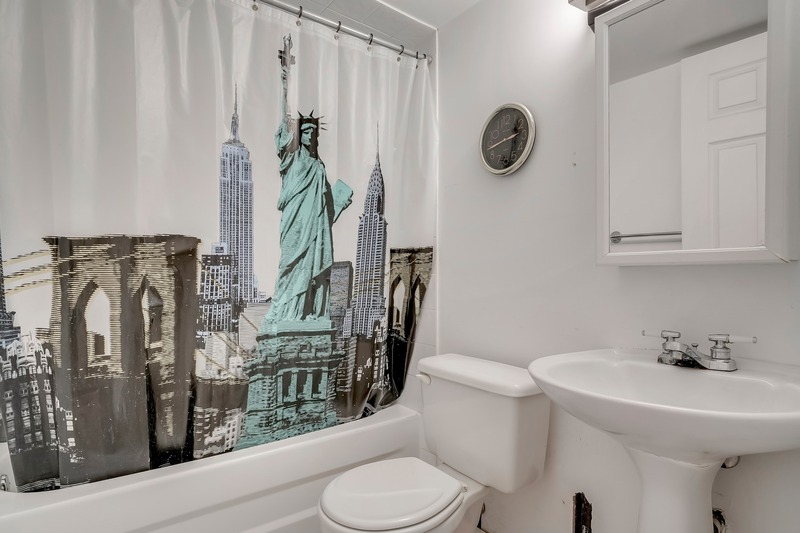 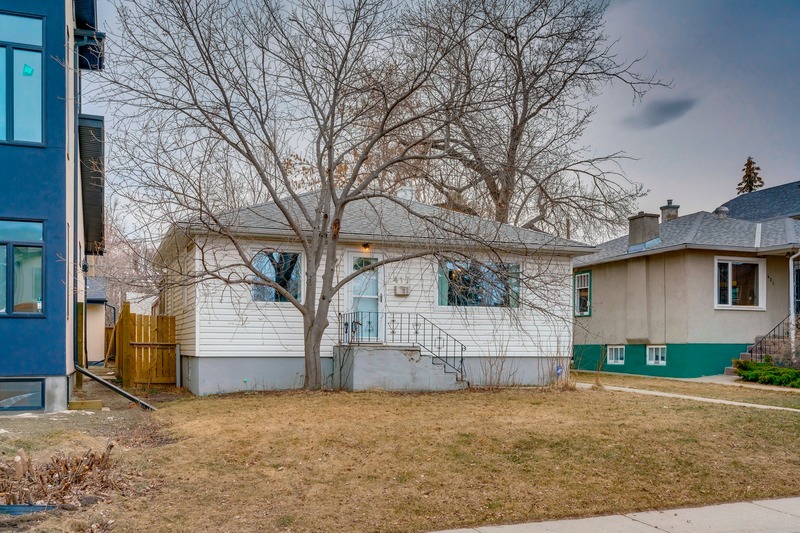 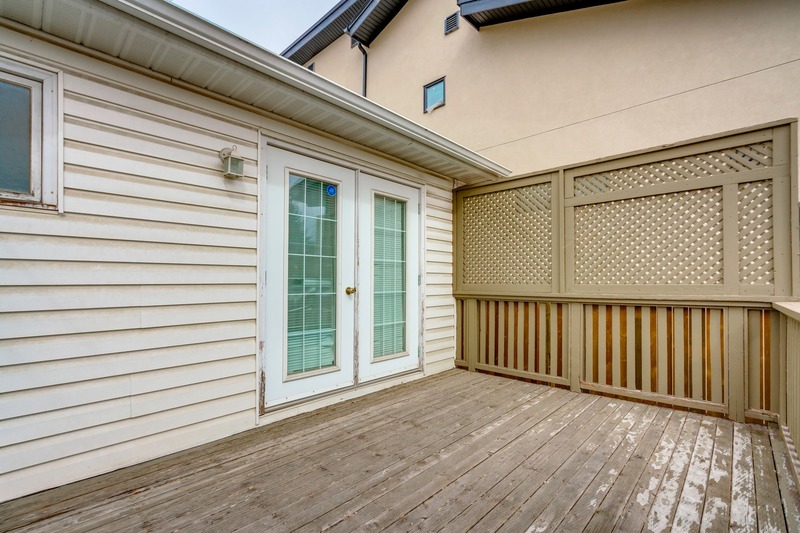 Live or build in this prime Mount Pleasant location w/ a sunny South backyard. 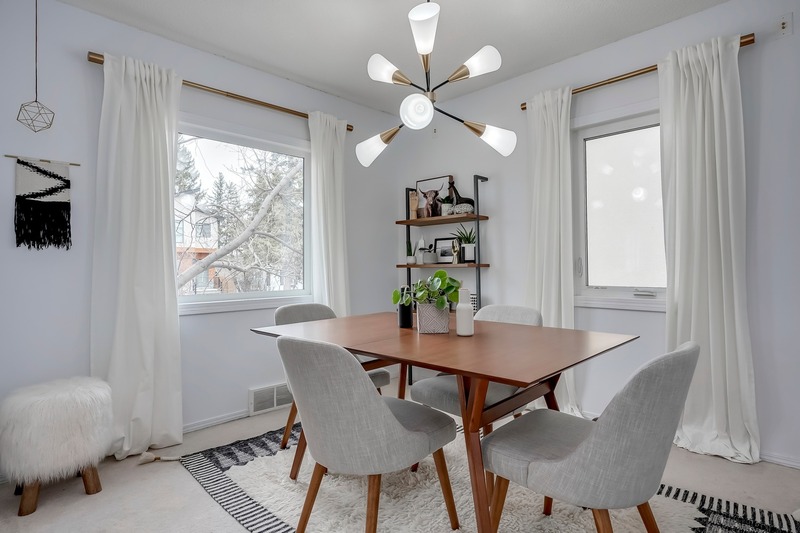 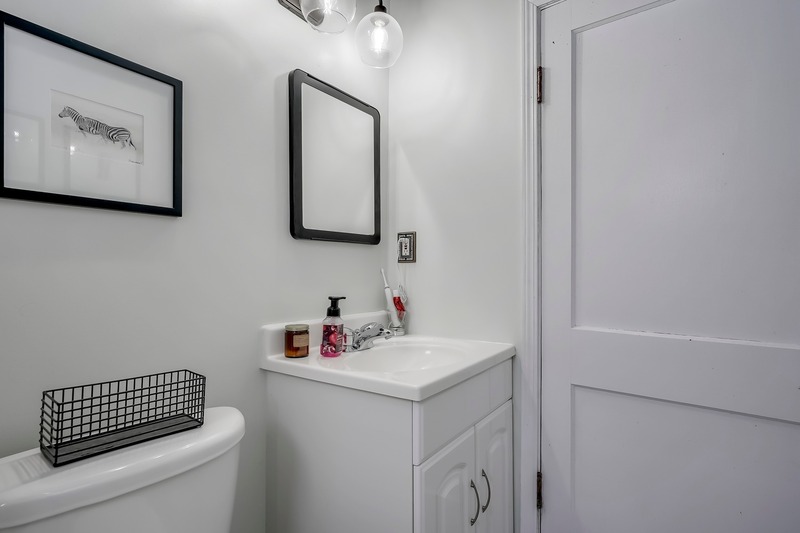 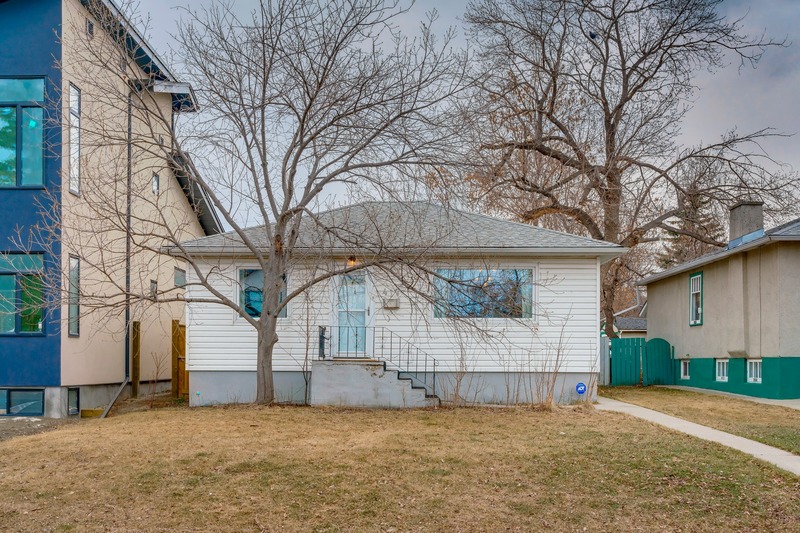 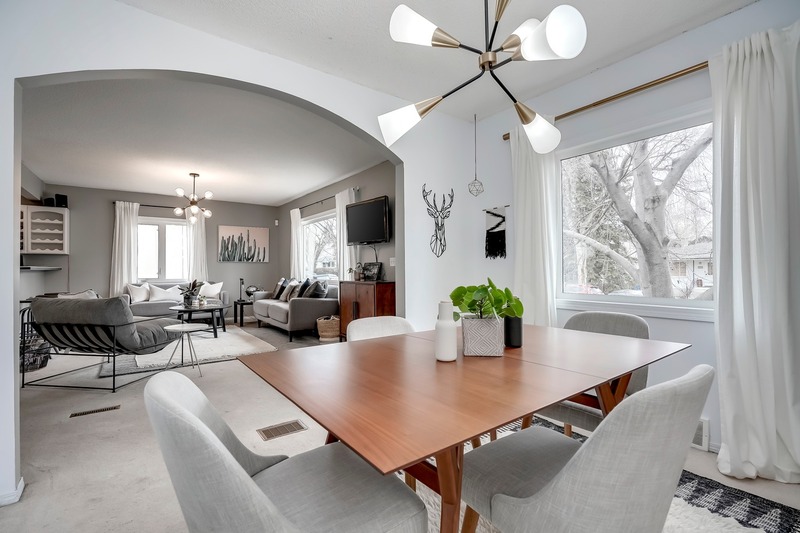 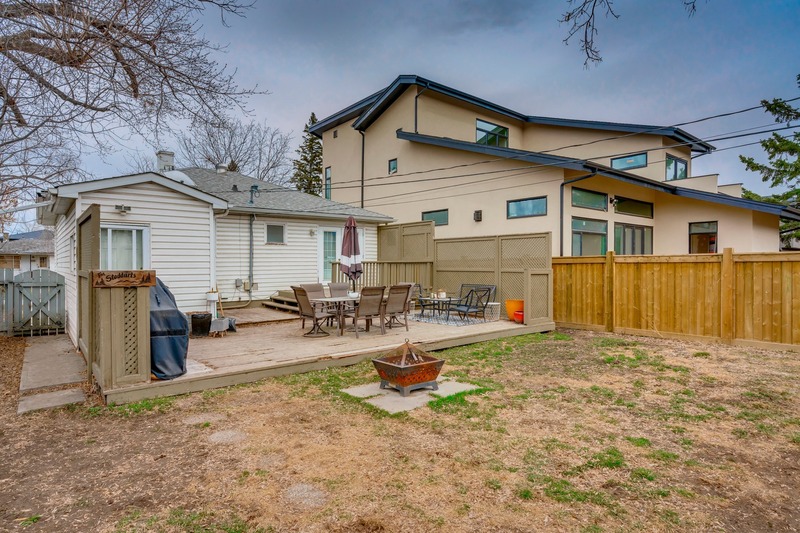 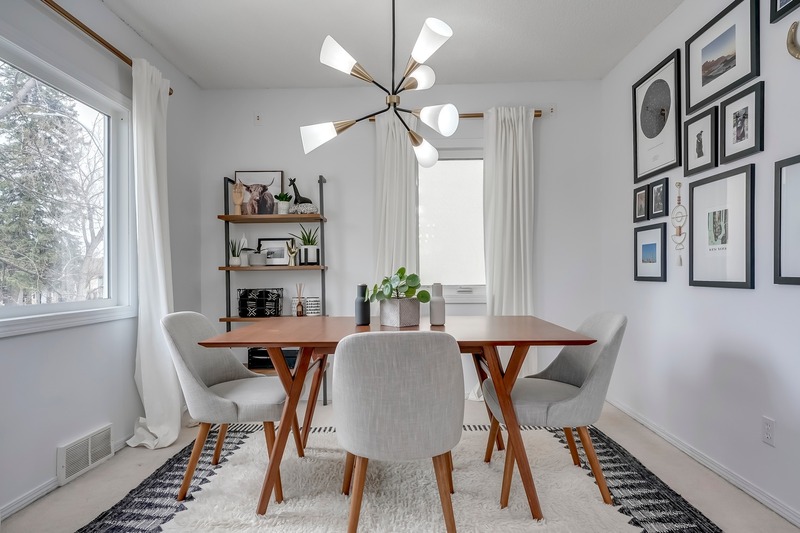 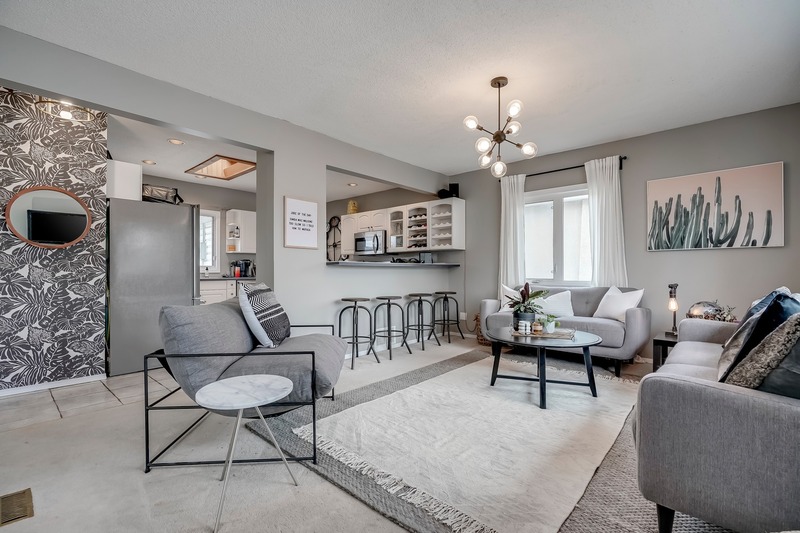 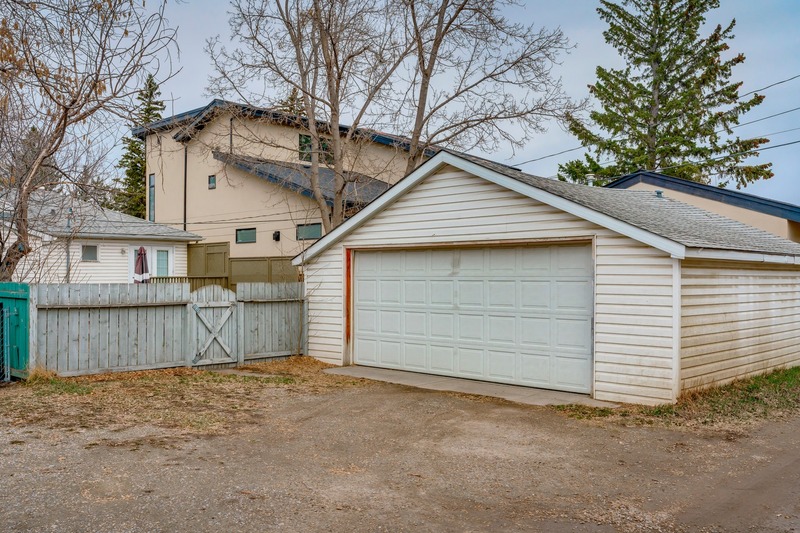 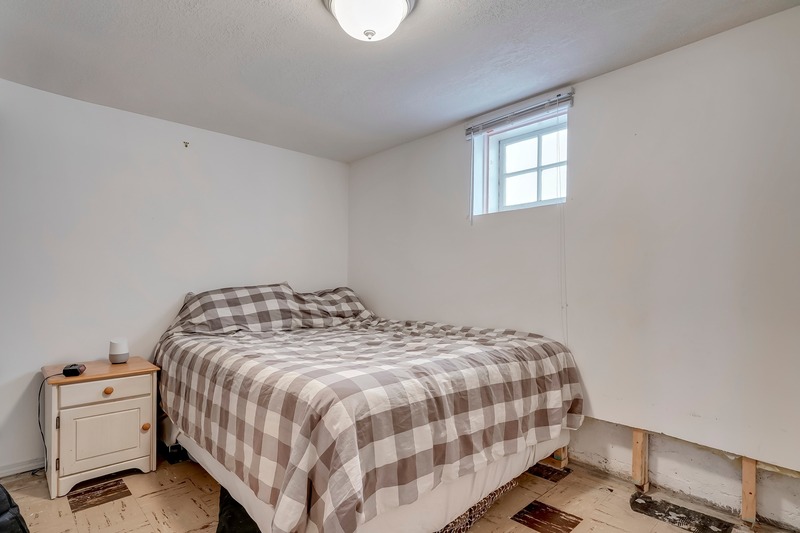 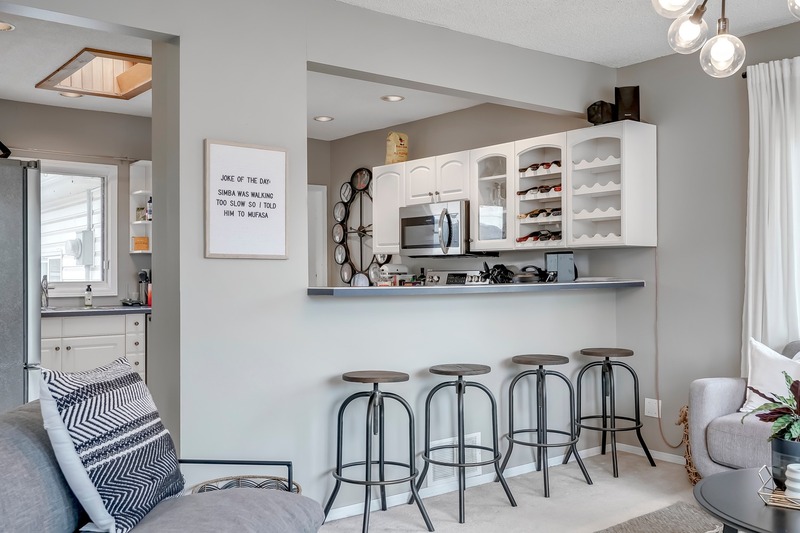 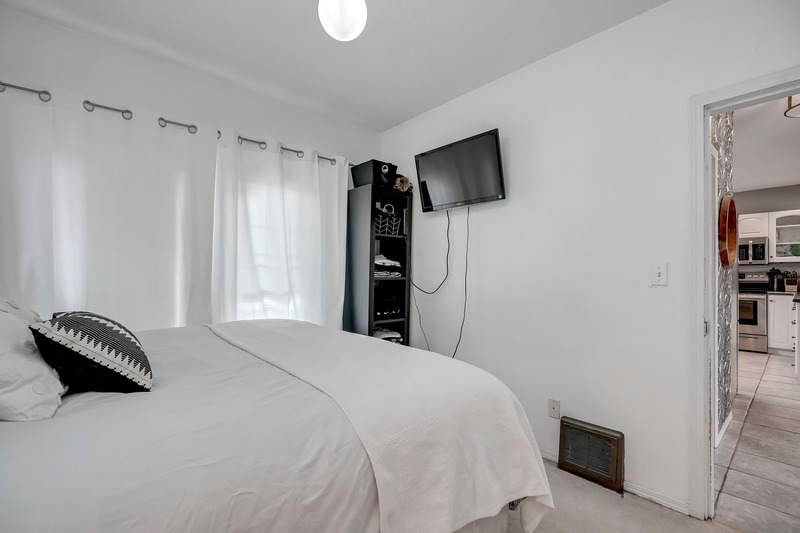 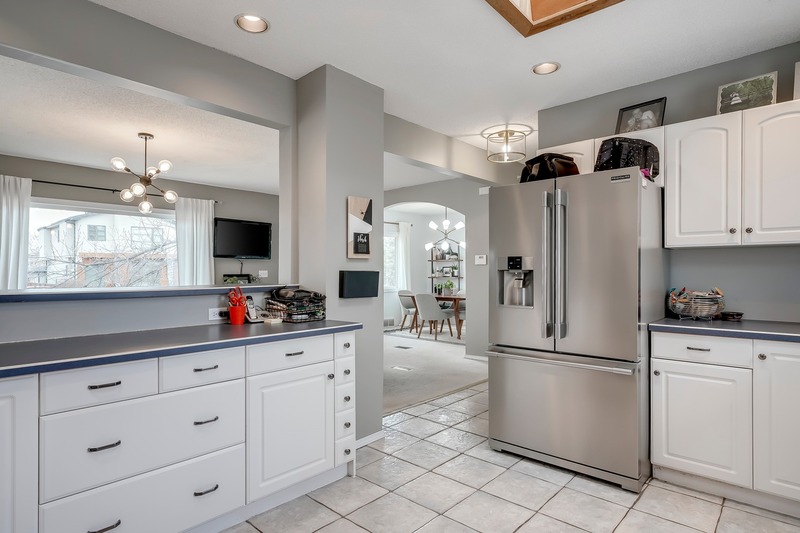 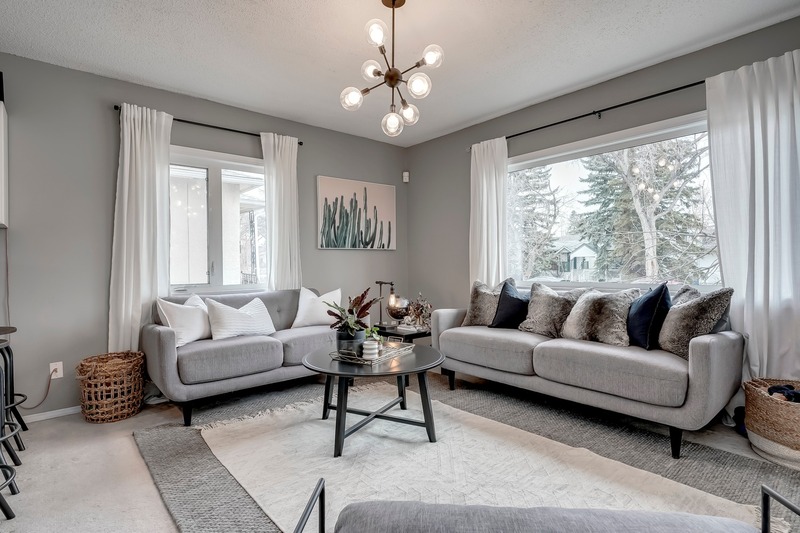 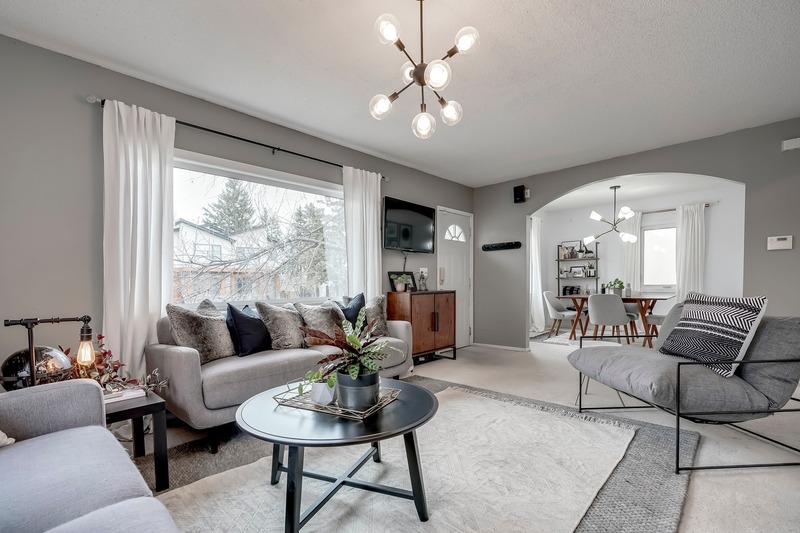 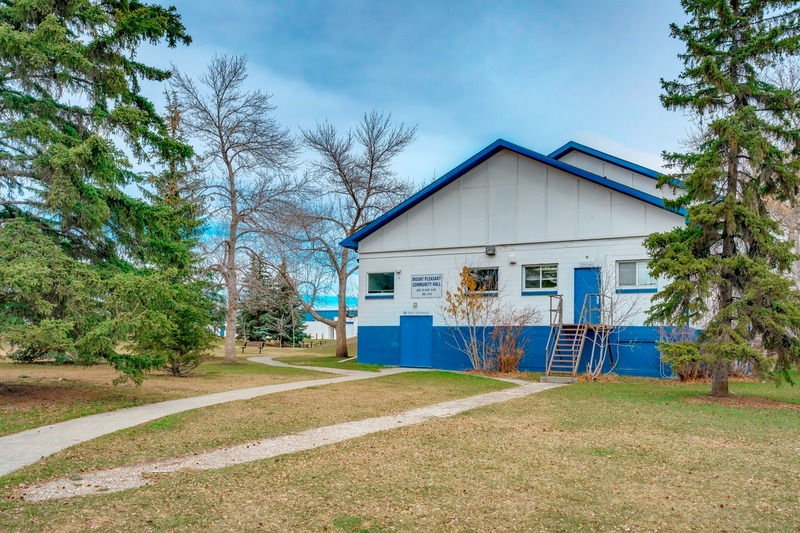 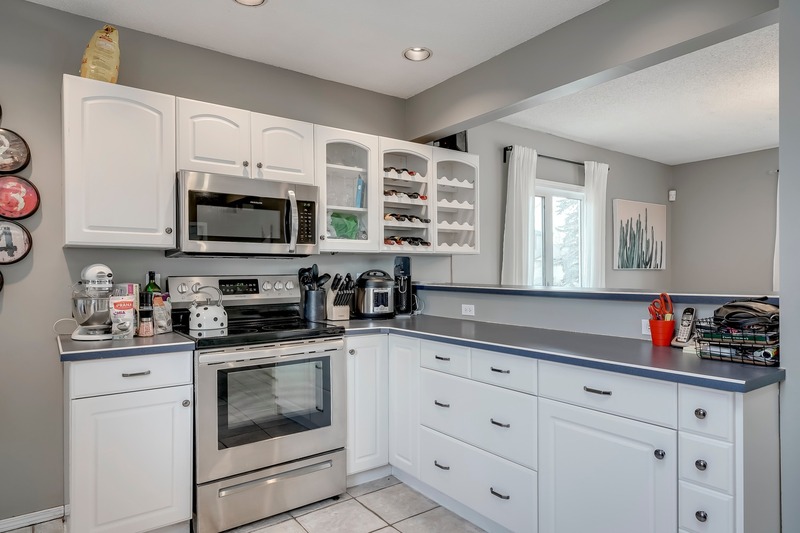 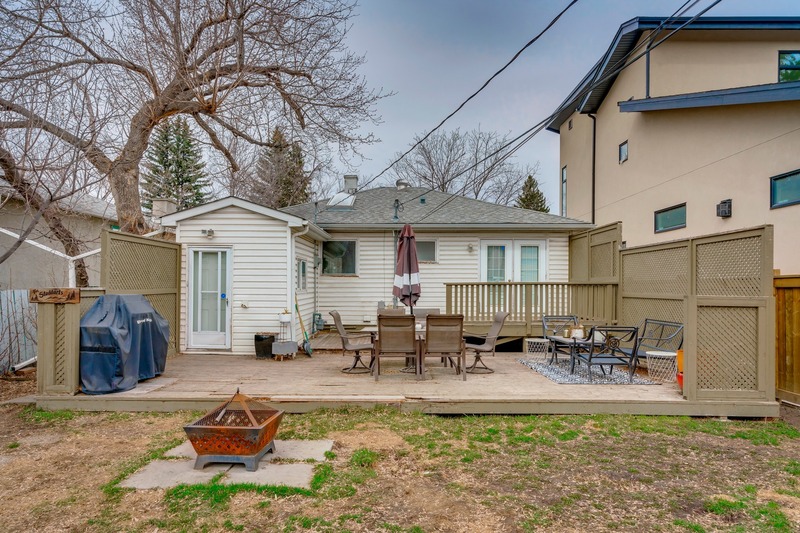 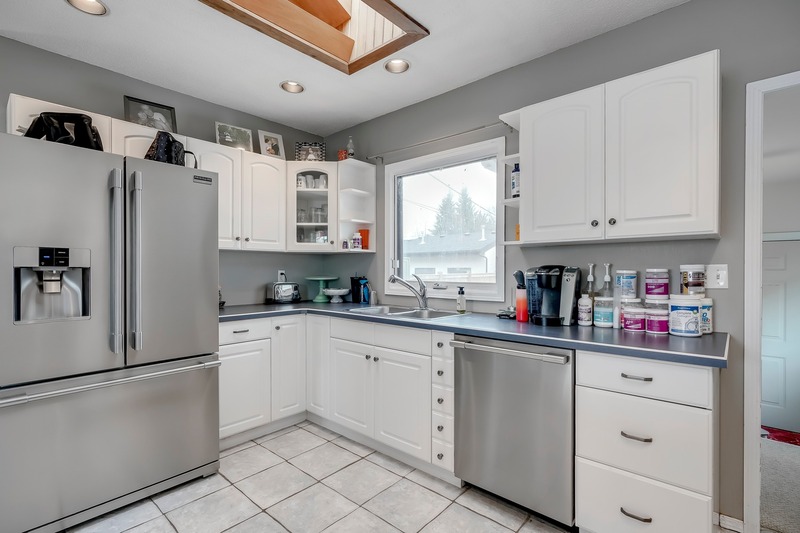 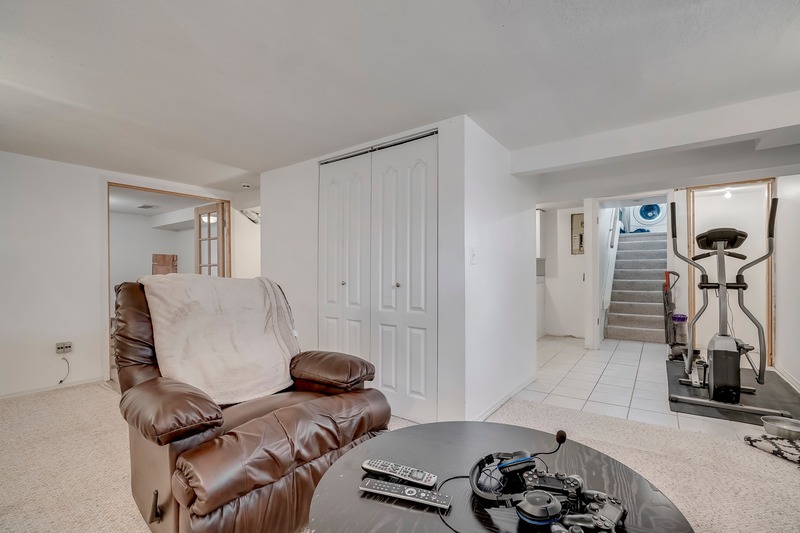 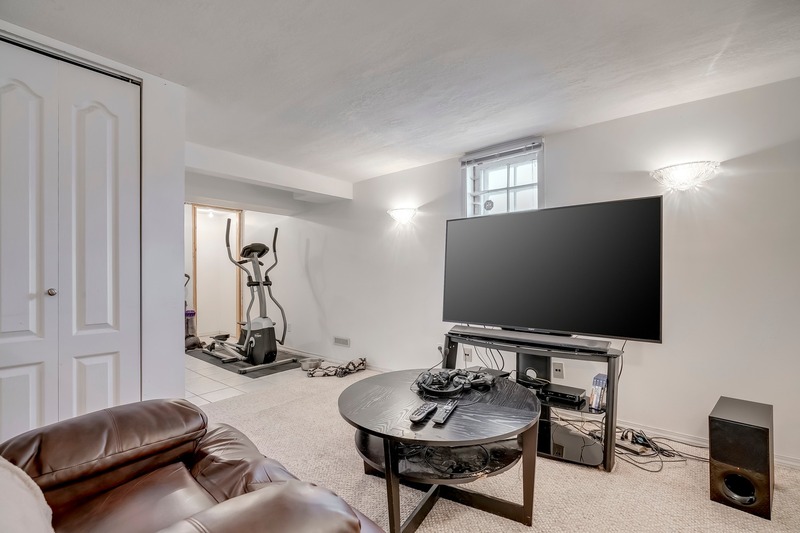 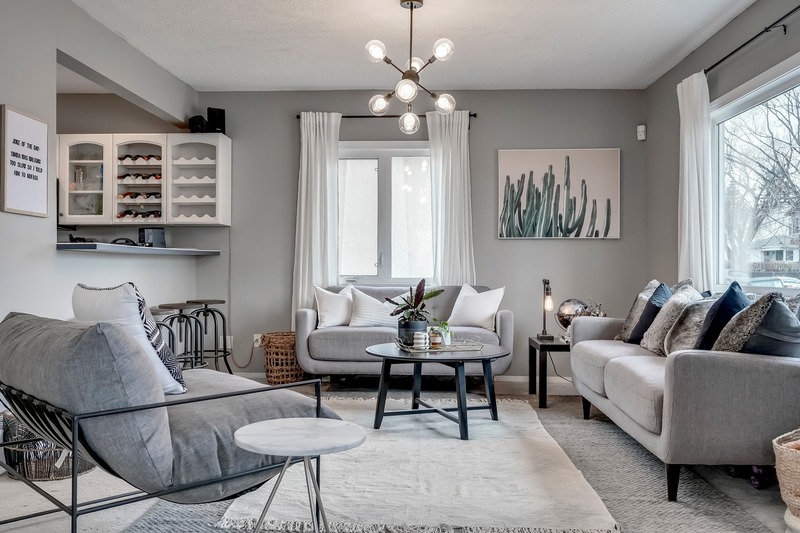 Aside from the land value (42 ft by 125 ft R-C lot) this bungalow is upgraded on the main level & the lower level was suited at one time & could easily be reinstated. 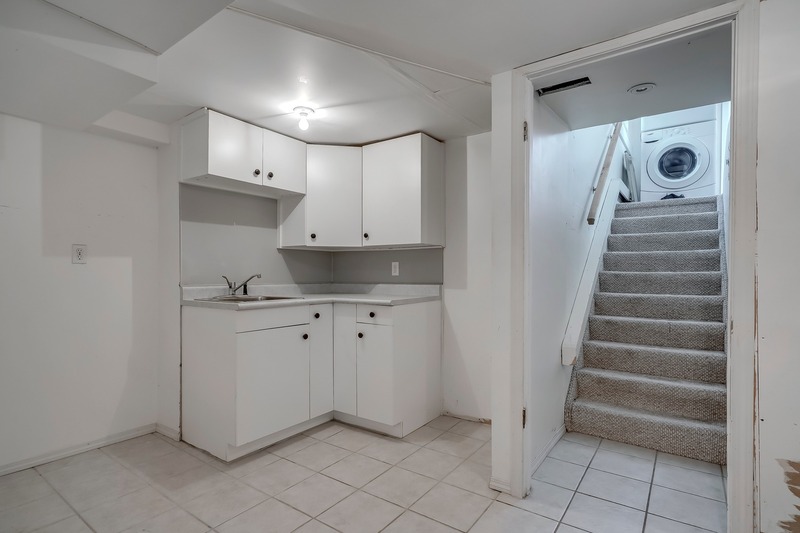 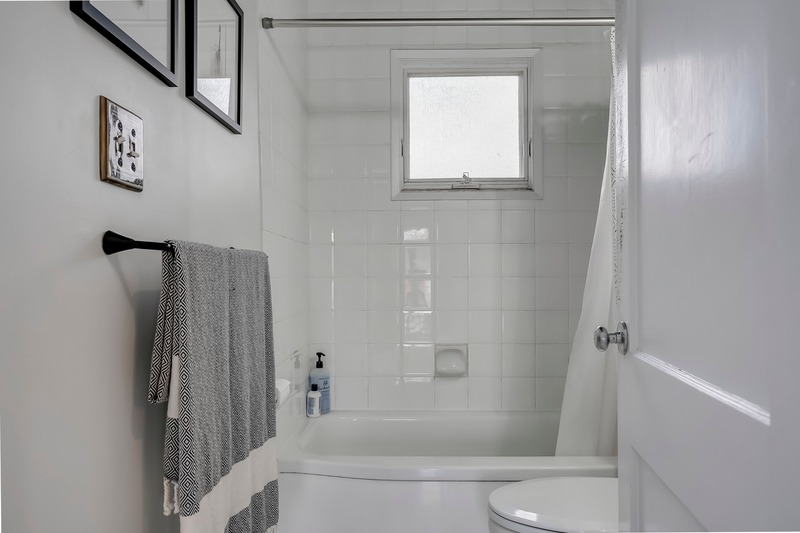 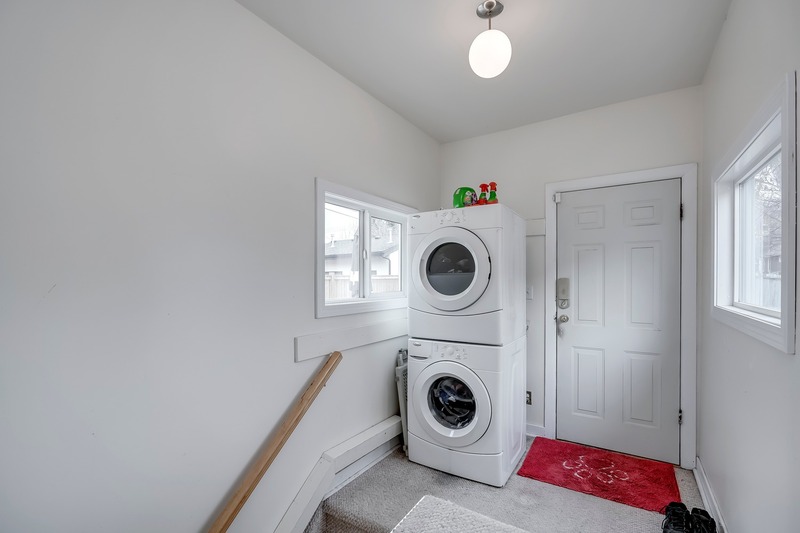 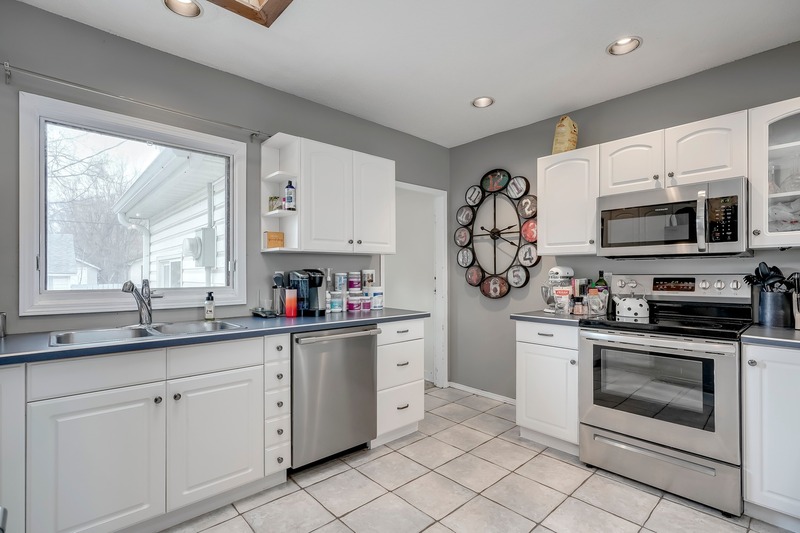 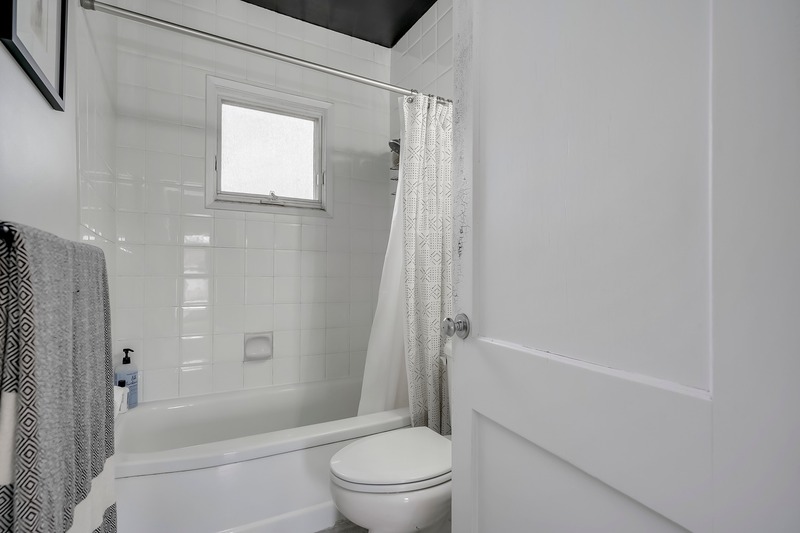 Features include:A bright home w/ newer windows on upper level, newer hot water tank, renovated kitchen with skylight, breakfast bar opening to the living rm, separate dining rm, master bedrm w/ French doors to your tiered decks, lower level w/wet bar, 2 rooms that were used as bedrms (no egress) & a spacious living rm. 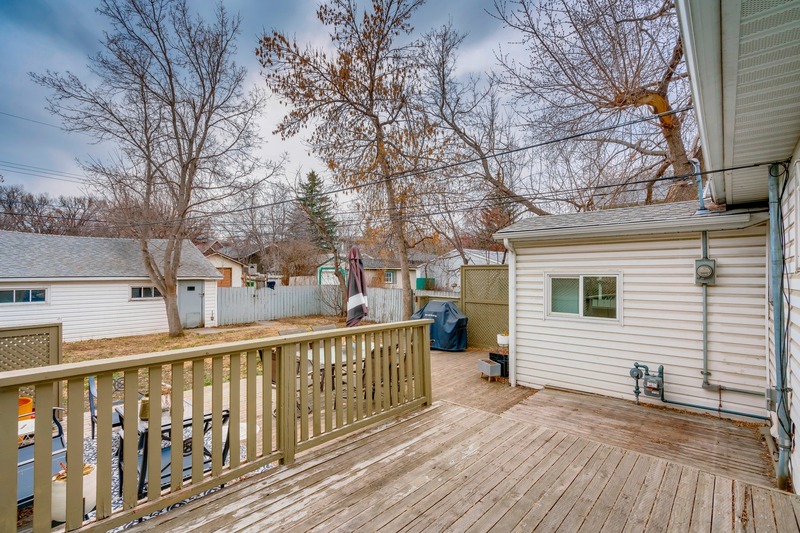 Large yard offers 2 decks, fully fenced w/ a dble garage with parking pad, great place for children to play, pets & summer entertaining. 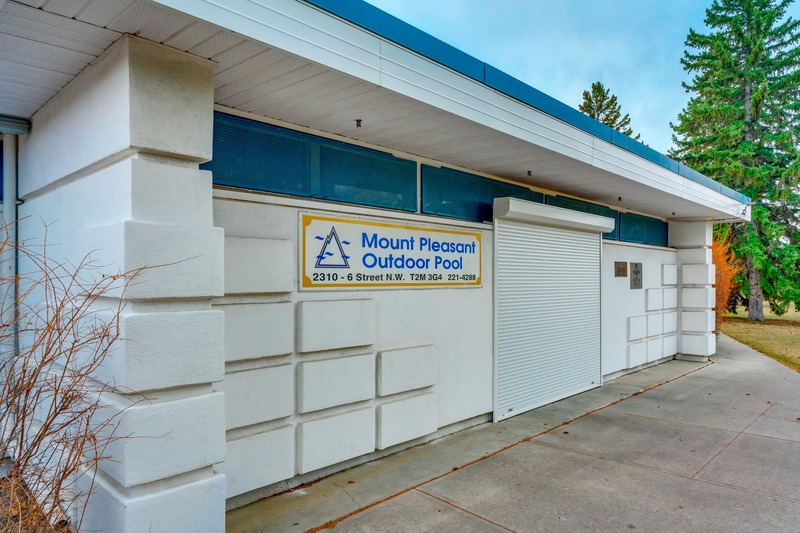 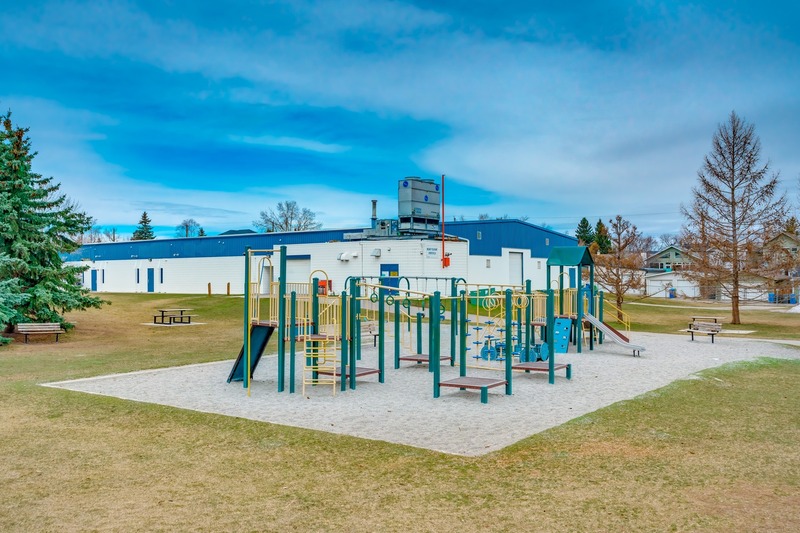 Mount pleasant has become an inner-city destination- it is a strong family community w/ schools, public swimming, hockey rink & arts center. 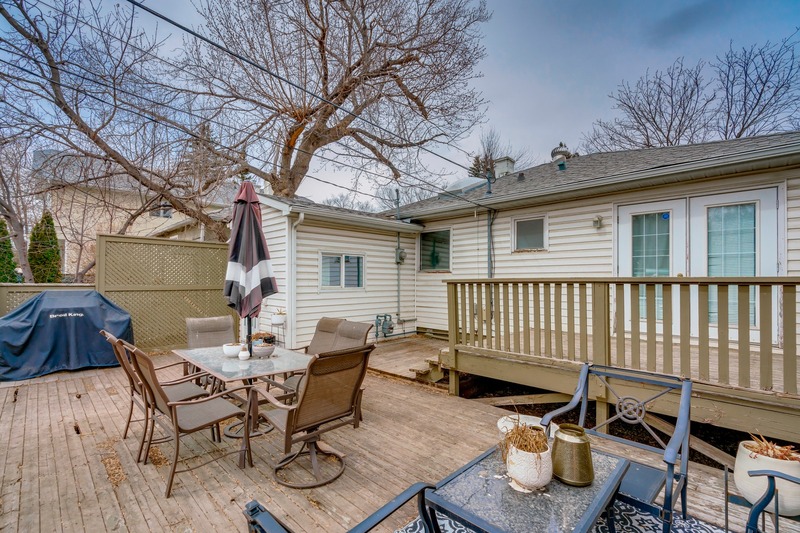 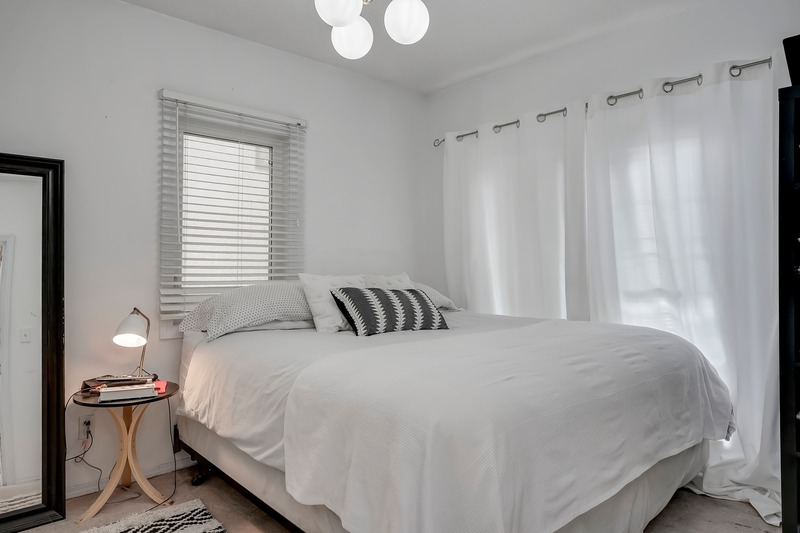 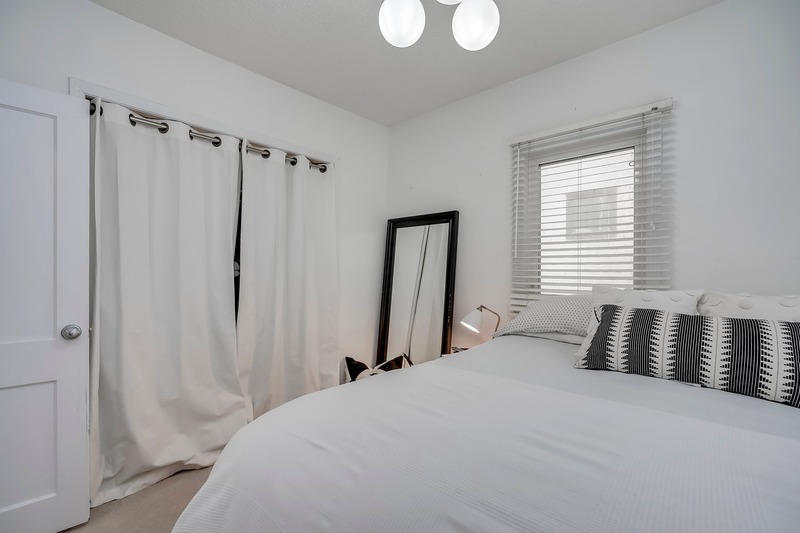 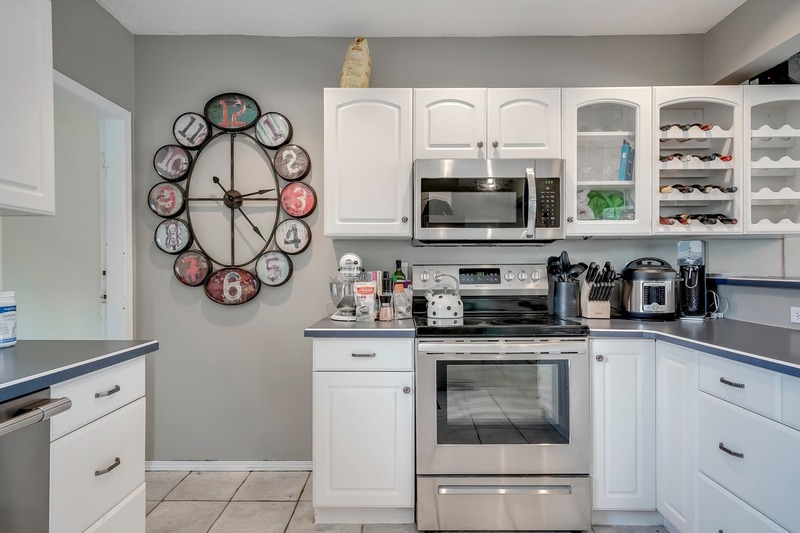 Walk to Confederation Park, restaurants, SAIT, downtown (or a quick transit ride). 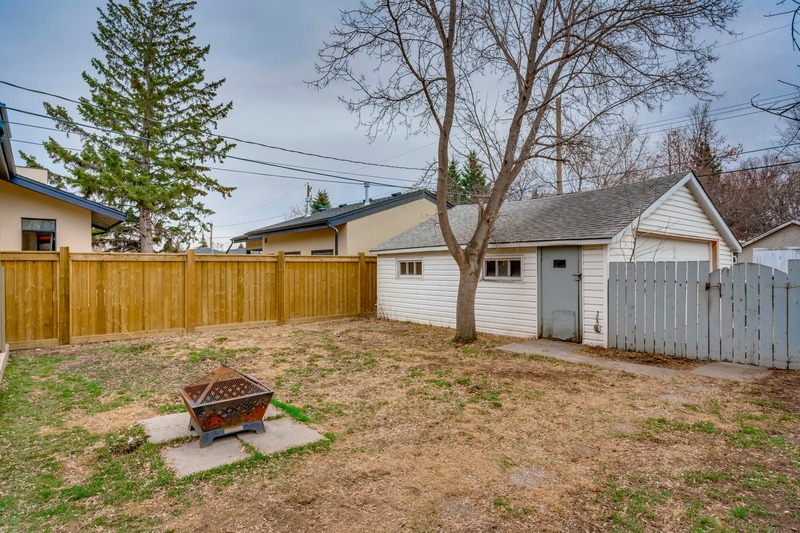 Build your dream home (like the single family home next door) or live up & rent down.